When you start Continuum for the first time (without an existing database), the first thing you will do is create the admin account and perform the General Configuration. After the admin account has been created, you can log as the admin user. 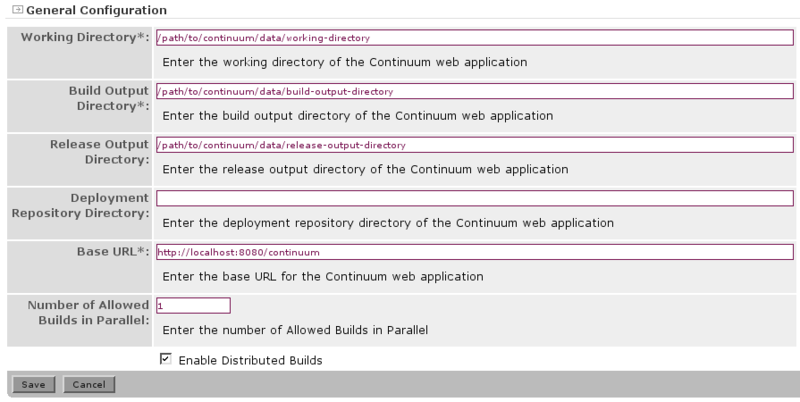 The next thing you will see is the General Configuration page. You may also create more users, add projects, etc.